Bounce Around Austin brings years of experience to the table when planning large events. Whether it's a community street festival, church fundraiser, or coporate event, when you include us as part of the planning team, you'll save money and get the resources and experience you'll need. Just give us a call at (512) 789-6207 and one our Party Pros, will assist you with attraction selections, tent shelter and seating, and plenty of ideas to make sure your event is a success. Custom Quotes on Large Event Packages. This isn't our first rodeo, so when you partner with Bounce Around Austin we can provide you with the inside track to success. With one call you'll have access to Austin's best event resources and equipment, so let us do the heavy lifting while you enjoy the celebration. 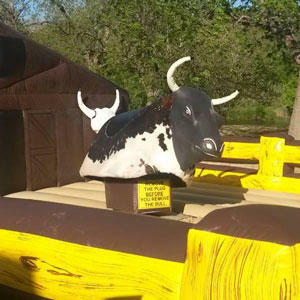 Bounce Around Austin also has a team of professional event staffers that can supervise attractions safely or man your concession stands with ease. Call today and see the difference Bounce Around Austin can make in your planning process.